Looking for the best OBD (onboard diagnostic) Bluetooth adapter can be quite a daunting task. There are thousands of brands available for you to choose from, both online and in store. 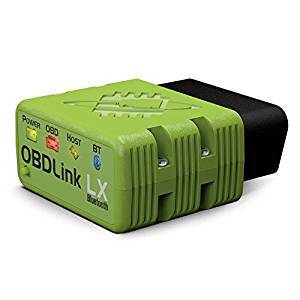 To help you find the best one for you, we at GarageChief.comn have selected the top five OBD Bluetooth adapter’s that are not only affordable, but will last you a long time. What is an OBD Bluetooth adapter? Before we get into the top brands, let’s talk about what an OBD Bluetooth adapter is. Essentially, it is a hidden port in your car that can help you understand and diagnose any issues related to your vehicle. 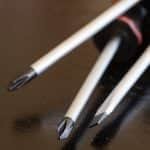 Dealerships and local parts stores use these adapters to help figure out how they can best fix your car. 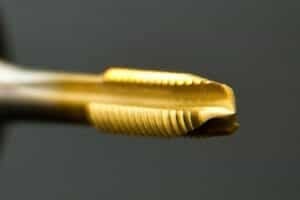 Over the past decade, there has been a huge rise of adapters that allow you decipher the information coming from your vehicle’s engine. 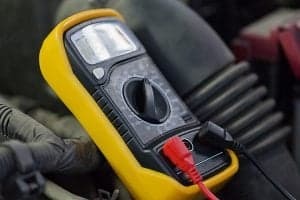 Having an OBD can save you time and a lot of money and help keep your car in tip top shape. For almost all the latest OBD Bluetooth adapters, you will need a smart device to have the proper applications to pair up your device with your car. It will allow you to keep track of exactly what is going on inside your car with the easy-to-read mobile app. Even when you are away from your car, or a loved one has it out, you will be able to monitor everything that is going on. It will give you peace of mind and allow you to have an informed conversation with a mechanic. This can be directly connected to the linked app to update for new functions automatically in the future. It can be left right in the car and has an on/off switch. 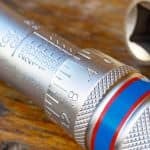 It also has the ability to be used with BMW bikes by purchasing the bike adapter, to make sure your motorcycle is up to par. It comes with a 1-year warranty in case anything goes wrong. The app to be used with this OBD Adapter is the BMW Lite App that can be purchased from Google. 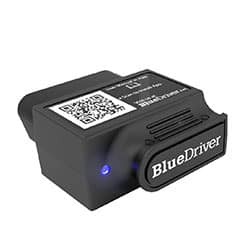 The BlueDriver OBD Scan Tool is one of the more expensive models on this list. 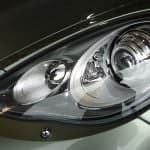 It has been developed by the brains at Lemur Vehicle Monitors, and they have created a tool trusted by many professional engineers in North America. 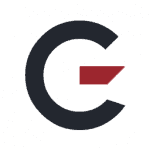 It can be used with both Apple and Android tools such as phones, tablets, and computers. It is fully compatible with the BlueDriver App, as they work seamlessly together to ensure the highest quality. It gives you free updates for the device, saves all of your data, and has an interactive graph of all the live data. It is also supported on a wide variety of vehicles that are 1996 or newer. This is one of the only products we have seen that can be used on both Android and Apple devices. This allows you to keep it for a long period of time, even if you decide to change devices. 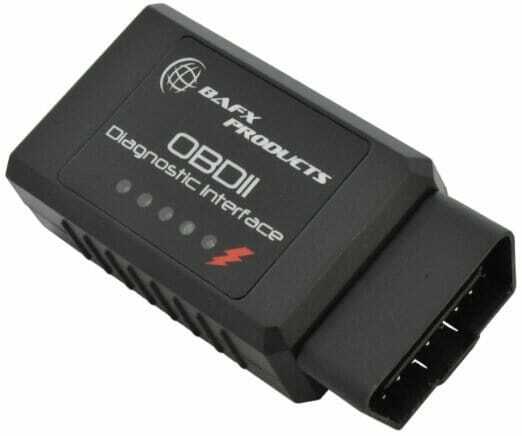 Developed by BAFX Products, this OBDII Scan Tool has a lot of features to help you diagnose all of your vehicle’s problems. This is the only OBD reader from BAFX Products that can work on every vehicle in the USA that was built from 1996 to present day. It is extremely affordable and will give you the ability to know what is wrong with your vehicle. 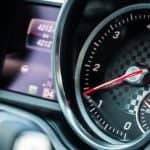 This OBDII Scan Tool connects easily with all Android devices: phones, tablets, and a Windows PC. Simply download the app that connects with this scan tool. This adapter lasts a long time, has a really stable connection, and gives up-to-date data. BAFX Products also has a great support system that will answer all of your questions about the product. With the app, you can read the check engine light codes, reset the check engine light, and find out a lot of other sensor readings. It prepares your car for when you need emissions testing and it also comes with a 2-year warranty. It will also help you check the throttle, boost, speed, transmission temperature, O2readings, and a lot more. 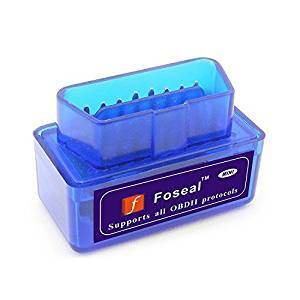 Developed by the Foseal Company, this is a very affordable OBD scanner to help you keep up to date on any problem associated inside your vehicle. It is compatible with any car or truck made after 1996 and sold in the USA, including models made in America, Europe, and Asia. This OBD scanner can read car error codes and display all the sensor data you need, such as the RPM of the engine, the temperature of the coolant, the status of the fuel system, the speed of the vehicle, short-term and long-term fuel trim, and intake air temperature. 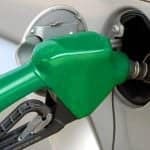 It also can test the pressure of the fuel. It is also compatible with apps such as DashCommand, Torque Lite, and Torque Pro that you can get on Google Play. It has the ability to work easily with Android devices and can also be used with iOS systems if you choose a particular Wi-Fi version. This particular package comes with the adapter and a user manual. A 6-month replacement warranty is also included in this price. The ScanTool OBD Bluetooth OBD Adapter allows you to turn your phone, tablet, or PC into a high-quality automotive scan tool. It will allow you to see what is going on inside your car and keep track when you need to take it into the shop. This device can be left plugged into the car without ever draining the battery. However, one thing to note is that it is only compatible with Android devices, no Apple iOS devices! It works best with 3rd party apps such as Torque and Dash Command. This link can also be used in cars and trucks built after 1996 that are sold in the USA. It won’t work with any electric or hybrid vehicles, however. It also has been updated with the latest hacker-proof wireless security to keep your personal information safe. Only can work with Android, no APPLE products! OBD Bluetooth adapters are necessary if you want to be kept up to date on everything going on in your car. They also are there to advance your safety while traveling and also protect you from people trying to take advantage of you. There are a lot of car shops out there looking to earn an extra buck, and these scanners allow you to make sure they are telling the truth. The best part about all the scanners listed above is that they work with an app on your smart device, dependent on whether each product is more compatible with an Android or Apple product. This allows you to look up reports about your car, even if you aren’t inside it. Always make sure you are buying an OBD Bluetooth adapter that is compatible with whatever smart device you currently own.